Dubai, 01 September 2010 – The number of overnight stays by GCC nationals in Germany increased by 16.4% during the first five months of 2010. During this time 243,759 overnight stays were recorded. Compared to the same period of 2008, that is before the economic downturn, the number of overnight stays by GCC travellers in Germany recorded a 30,3% increase, from 187,004 to 243,759. With the central European country as popular as ever with tourists from the Gulf region, Germany is gearing up to welcome Arab guests who will be visiting the country during Eid Al Fitr holiday. As Germany is home to a large Muslim population, it offers tailor-made holiday packages that are suitable for every taste. Visitors are guaranteed to enjoy a memorable holiday experience during “Eid Al Fitr”. “Germany is the second most visited European country by travellers from the Arabian Gulf,” said Antje Roeding, Director for the Gulf countries at the German National Tourist Office. “Germany has wonderful nature, picturesque towns, excellent hotels, high-class restaurants and varied shopping opportunities. Most importantly, we offer our guests from the GCC region our German hospitality, which shows itself both in the famous German quality of service as well as in the warmth of the welcome we extend to each and everyone who is visiting our nation,” she added. Over the past few years, there has been a rapid increase in the number of GCC tourists who spend their holidays in Germany. Statistics recently published by the German Federal Statistics Office show that the number of overnight stays by GCC nationals in Germany during the first five months of 2010 has reached 243,759 nights. In comparison with the same period in 2009, this number indicates a 16.4% increase in overnight stays. In comparison to the same period of 2008, before the economic crisis, the number of overnight stays by visitors from the GCC to Germany rose by 30,3%.The increase in tourism from the Arabian Gulf region was among the highest of all regions in the world. There are plenty of sights to see and things to do in Germany this Eid holiday. Germany boasts 27 UNESCO World Heritage Sites. The country encompasses a rich ensemble of historical sites, architectural monuments as well as swaths of natural reserves and river landscapes. Special offers for Arab guests include luxury hotels that do not only employ Arabic-speaking staff, but also offer special menus and reserve entire floors for their regular visitors from the Gulf region. This has made Germany one of the preferred destinations for travellers from the Gulf region. The Eid holiday in Germany is destined to be especially attractive, as there are many possibilities to celebrate in an Islamic atmosphere in cities all over the country. Similar to Muslim countries, mosques in Germany are usually decorated with lights, and various restaurants offer Halal food. Nice promenades with all kinds of cafés and restaurants are considered a wonderful gathering spot for families to celebrate the Eid Holidays while they can enjoy a nice "Kaffee und Kuchen" (Coffee and Cake), a typical German tradition when celebrating a festival. A whole-day trip to amusement parks is a traditional Eid celebration for Arab families with children. 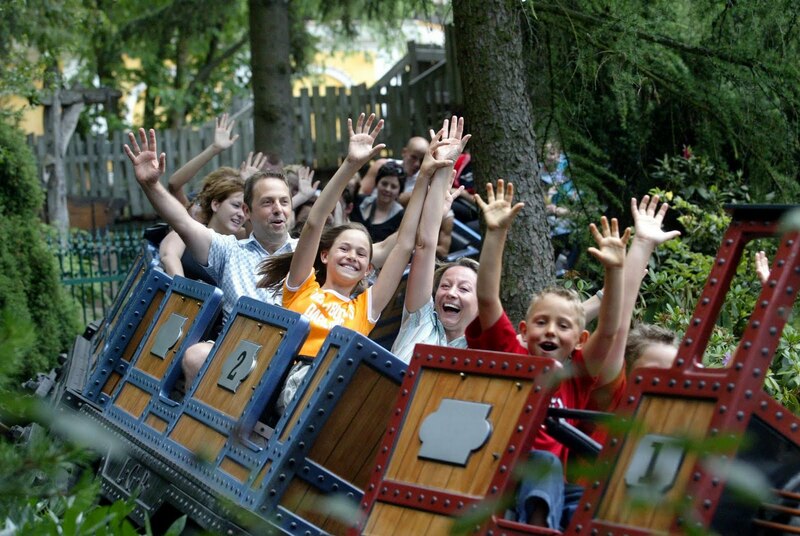 Europa-Park in Rust, close to Freiburg, is Germany’s biggest theme park. It awaits visitors with a concept of thirteen different European areas that offer more than 100 attractions and shows. Europe´s biggest non-profit children, youth and family centre “FEZ Berlin” or the “Legoland Discovery Centre” in Berlin, are also among the country’s various attractions. Another popular destination for families is the Phantasialand amusement park in Brühl near Cologne which attracts approximately 2 million visitors annually. Many theatres and museums across Germany’s largest cities arrange extra events for families as well. For youngsters, Germany’s various clubs are a must-visit this holiday season. They can enjoy the musical night scene and celebrate the Eid holiday with friends. The increase in the number of GCC visitors to Germany over the past few years has enabled the organization to identify their needs and adapt accordingly. For instance, many of Germany’s major cities have begun to offer guidebooks in Arabic and to rent out furnished apartments for families, as an alternative to hotel rooms. Germany’s efforts are greatly aided by its almost 30 representative offices throughout the world. Of those, the GNTO in Dubai is responsible for promoting Germany in all the major markets of the Gulf: Bahrain, Kuwait, Oman, Qatar, Saudi Arabia and the UAE. Whether seeking cost-efficient or luxury vacations, travellers to Germany have a variety of itineraries from which to choose. The picturesque German scenery includes lakes, forests and snow-capped mountains, making it ideal for a wide range of outdoor pursuits including hiking, rowing, horse-riding and skiing. Its modern cities offer an eclectic mix of cultural activities and are home to some of the most popular shopping districts in Europe, while families with small children can enjoy exploring the country’s many amusement and leisure parks. Some people believe that the respect for personal freedom in Germany has contributed immensely to increasing the number of Arab tourists flocking to Germany. 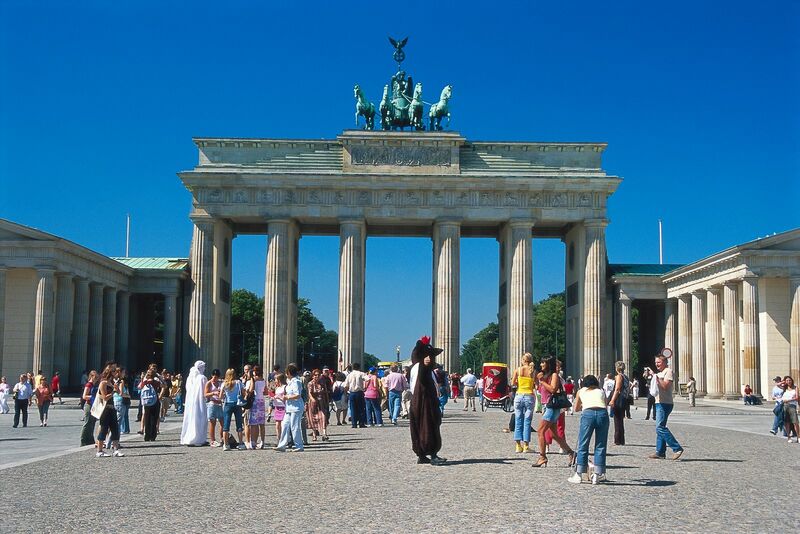 Moreover, Germany is the most affordable luxury tourist destination anywhere in Western Europe. The country has an excellent quality-price ratio in hotel accommodation, with rates for overnight stays in German cities relatively low compared to other European destinations. In 2009 the average price for a hotel room in Germany was 80 Euros, whereas in the rest of the European Union one would need to pay 94 Euros on an average.